Lima: Ahead of Stage 8 in the Dakar Rally, Mohammad Al Baloushi, the only UAE representative in the race sits 33rd in the Bike category, climbing through the ranks after some problems in the early stages left him at the back of the pack. 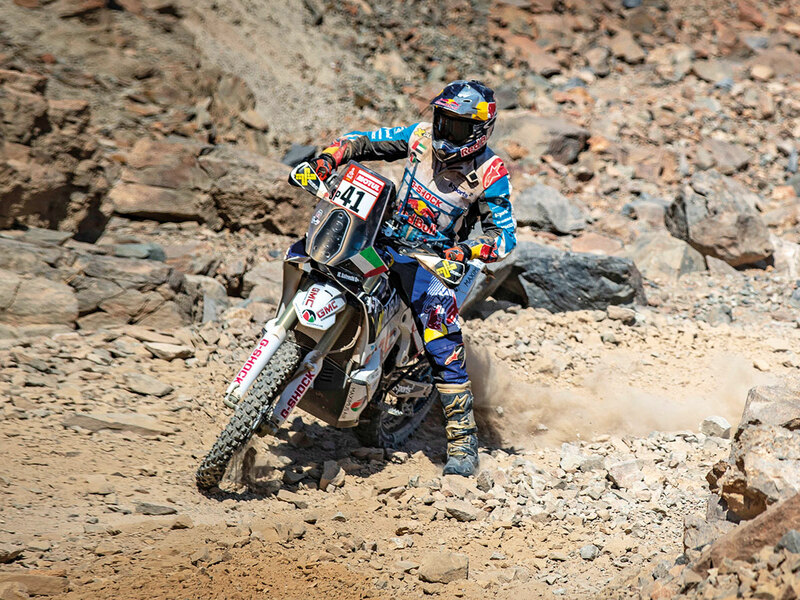 Despite his disappointment, and riding through pain for several stages following a crash, Al Baloushi is determined to push even harder to make up some places in the remaining three stages and fly the UAE flag at the finish line. “It was unfortunate to lose so much time at the beginning of the race,” he said. “I want to thank the support from all the people following the race back home and apologise to them for not being able to do better. I am proudly Emirati, to the last cell in my body, and I will continue to push until the end and do my best for the world to see our colours when I raise the UAE flag at the finish”.